Furthermore, scientists have been able to artificially recreate taste sensations which natural foods cannot hope to compete. Unfortunately, the former are nowhere nearly as healthy as the latter. In fact, they are not truly food, but are “food-like” products. These advances in technology makes modern, process “foods” highly addictive and easy to store (it doesn’t ferment like real food). Understanding this, it’s no wonder the Western world is so unhealthy. 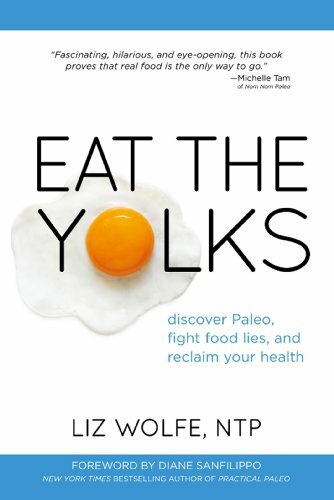 In order to eat healthy (and probably save our planet in the process) the author advocates that we get back to the basics of food. Her research is based on scientific studies and books by leaders in the fields. Basically, all processed, marketed and mass produced food products are crap. They lack the quality nutrients that the body requires, and they undermine our natural health. Even ‘health’ products are often just as bad than the food products we know to be junk. The cause of natural food’s stigmatization is highly political and economical. With industrialization and the profit motives of food corporations, there was great pressure to produce cheaper food commodities. This lead to a very skewed public perception. Calories, for example, are not bad. They’re the energy we need to live. The problem with our modern perception of food is that we treat it like an enemy. What we should be doing instead is trying to pack every bit with as many nutrients as possible. Because, as the author claims, it’s all about Nutrient Synergy. To get back to a healthy diet, we also need to eat animals. Fire, and cooking our food with it, is perhaps the biggest evolutionary advantage that humans have ever had. Heating up out food (especially protein and nutrient dense creature foods – animal meat, eggs, etc.) releases enzymes in the food, increasing the bioavailability (our ability to absorb) of the nutrients. This allowed our ancestors to spend less time digesting larger amounts of uncooked plant food (like our primate cousins still do) and allowed our brains to rapidly expand. This means that vegetarianism and veganism, although ethical and well intentioned, aren’t the healthiest diets for the human body at all. Anthropologically speaking, no culture has ever lived purely off plants – and they can’t do so if they want to remain truly healthy. The author uses an barrage/array of studies to prove that the quality, amounts, proportions and composition of the nutrients in animal products simply cannot be found in a plant based diet. In theory, they can – but due to counter-acting agents in plants, it’s not realistic. Studies even show that people living a plant based diet – all other lifestyle habits being equal – do not live longer than people eating (healthy) meats. In fact, an array of nutrient and mineral deficiencies (even mental disorders, impotence and infertility) have been linked to a lack of certain ‘complete’ proteins and amino acids (unavailable to non meat eaters). And it shouldn’t be. Ethically speaking, eating meat is not a bad thing. Apart from factory meat production, which is absolutely abhorrent, inhumane, and should be banned, it is unhealthy for everyone involved – the livestock, the people who eat the meat, and the planet. That being said, the act of eating meat is a sacred ritual, one that has sustained humanity since the dawn of man. In many traditional cultures, including Inuit culture, animals are treated with the utmost respect, and hunting and eventually utilizing every part of the animal is a spiritual practice of gratitude to the earth and life. Ironically, studies show that the typical people most opposed to hunting and killing of animals are white women living in major cities with the least knowledge about, understanding of, or experience in nature. They are ignorant to the way the natural world works and base their ideas about nature on what the media has presented them with. Fat, too — whole, natural, and animal fat— is incredibly important. The corporations have made us believe that fat makes us fat and unhealthy, but this is not true. We need the ‘stable lipids’ in order to thrive. Cholesterol, also, has been grossly misrepresented. It’s actually the opposite of what we’ve been told. It’s a vital part of our bodily function, so much so that the body creates it if it’s lacking. Many people believe that high levels of ‘bad’ cholesterol (LDH) leads to heart disease. As the author argues, this is not true, as levels of cholesterol, high or low, LDH or HDH, don’t actually have much merit as an indicator of a persons overall health. This is because modern (biased) science has confused association correlation with causation. In conclusion, we humans have largely lost touch with our biologically-natural sources of food due to a capitalistic food industry. The way to reverse this (and improve our health) is to go back to basics – shop a local farms, buy free-range and organic, seek highly natural and nutritious produce, and so on. Remember that nutrition goes deep: the chicken is only as healthy as the grain that it is fed, the grain is only as healthy as the fertilizer that is used, and that fertilizer is only as healthy as the animals, of whose droppings it is composed. Food is a part of nature’s cycle, and as always: nature knows best.